Peter will say I’m a villain, that I wronged him, that I was never his friend. I really enjoy story re-tellings from the point of view of the ‘villain’, explaining why they’re really misunderstood. 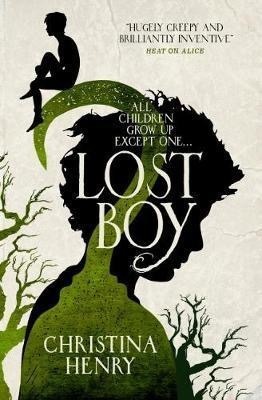 Lost Boy is told from the point of view of Jamie, when he’s one of Peter’s lost boys, explaining how and why he became Peter’s enemy, Captain Hook. From the very start of this book, it’s obvious that Peter is the real villain of the story. We see how Jamie cares about all of the boys, while Peter sees them as toys, there to entertain him and be discarded. If boys have to die so that Peter can have his fun, Peter can always get more from the other place. These boys will never grow up because they’ll never have the chance to. Jamie has been on the island for years with Peter, he was the first lost boy, but throughout the story we see Jamie become slowly disillusioned with Peter and Neverland, ageing as he does. Through Peter’s impulsive actions and indifference to the lives of the boys he ‘rescues’ we see Jamie’s love for Peter slowly turn to hatred and gain an understanding of Captain Hook. Henry’s version of Peter doesn’t contradict the Peter created by J.M. Barrie, or the version we see in the Disney film. It’s very easy to see Peter’s actions in these as selfish and uncaring, rather than those of the kind hero we thought.